Congratulations to our latest AFO recognized businesses! 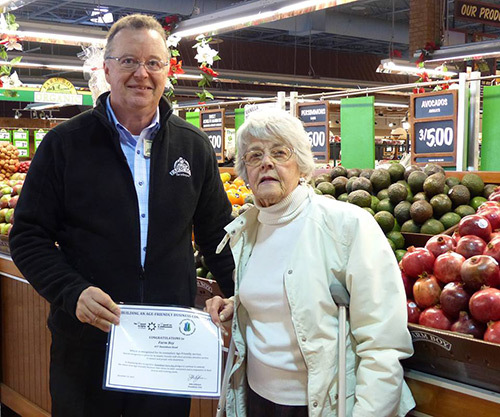 Massine’s Your Independent Grocer was recognized as an Age-Friendly Business in January 2016. 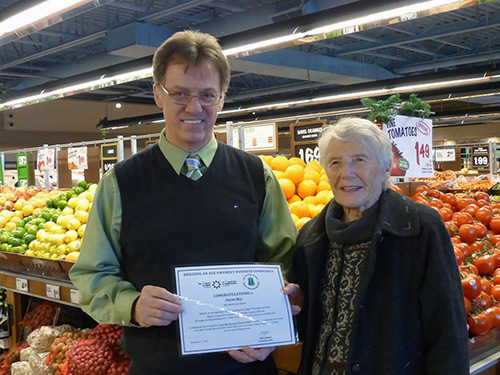 Massine’s YIG was nominated by senior Carol Kerfoot to be recognized as an age-friendly business by Age-Friendly Ottawa for its Good Companions Seniors Grocery Bus Program offered to seniors on Tuesdays. 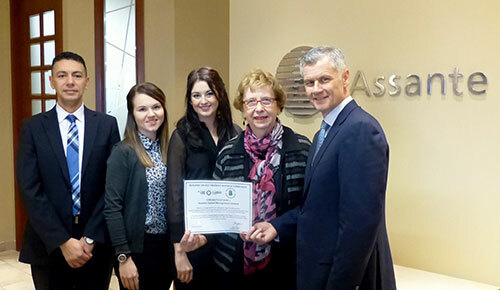 From left to right: Ahmed El-Shaboury, Associate Advisor, Lisa Oliver, Client Service, Britanny Schofield, Marketing Associate, Martha Fair presenting the Age-friendly recognition certificate to James Schofield, Vice President, Senior Financial Advisor. 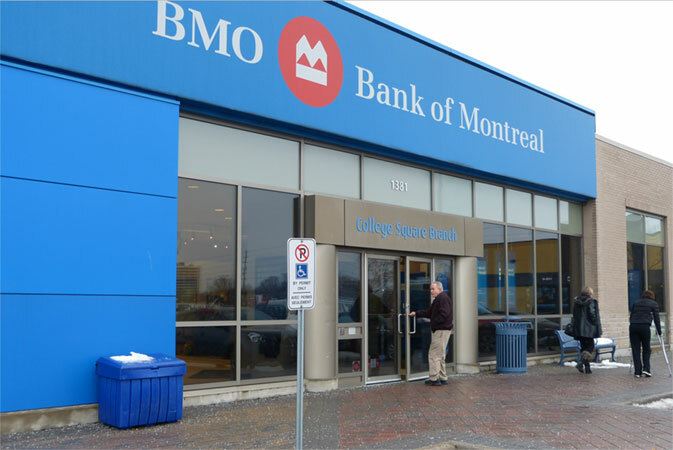 The College Square Branch of the Bank of Montreal is being recognized for its accessibility, respectful and attentive customer service. 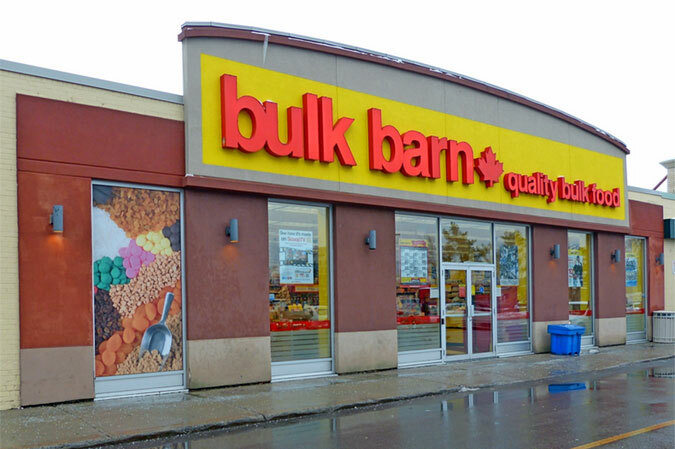 The Bulk Barn's Billings Bridge location is being recognized for its friendly customer service, seniors' discounts on Wednesdays along with wheelchair accessible aisles & automatic door. 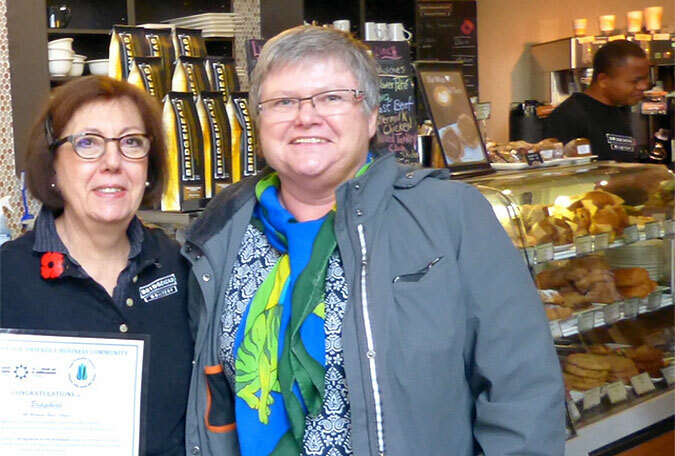 Congratulations to co-owners Julie and Cindy Delahunt, recipients of the first AFO certificate recognizing Age-Friendly businesses in Ottawa. 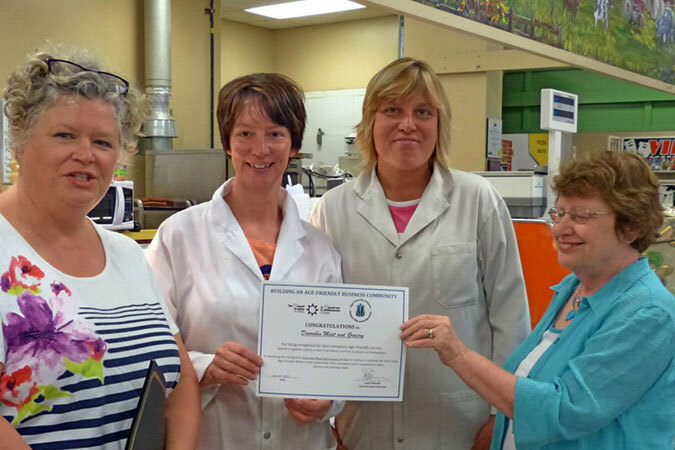 Adele Muldoon, to the right of the photo, nominated Dunrobin Meat and Grocery for offering home deliveries to seniors. Farm Boy was recognized for its friendly, helpful staff, courtesy carry-out of groceries, attractive accessible placement of products on the shelves. 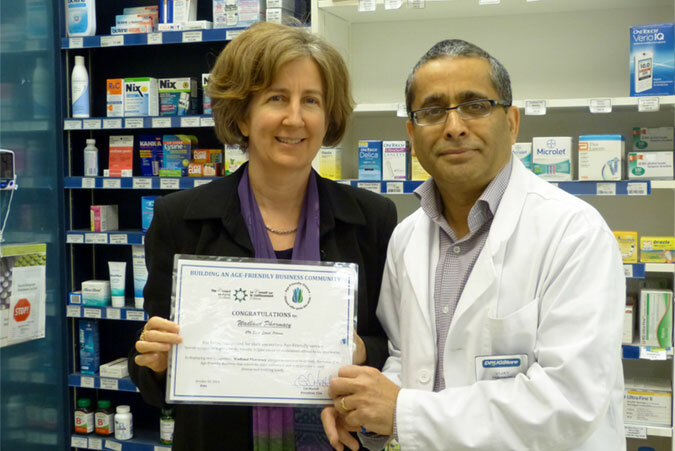 The Guardian New Edinburgh Pharmacy is being recognized for creating the time and space for one-on-one consultations on medications. 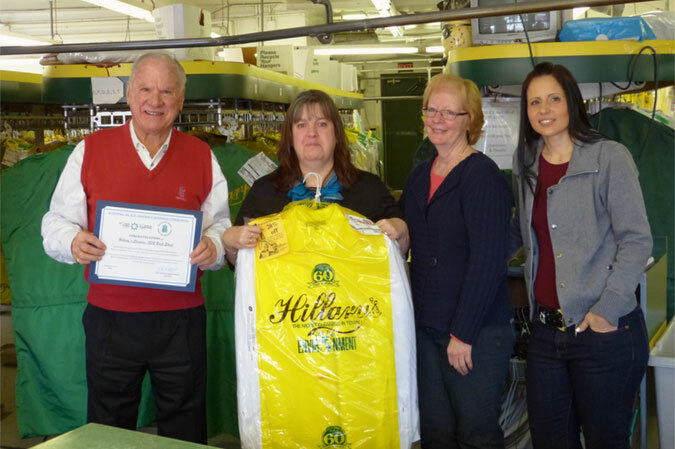 Hillary's Cleaners provides friendly service for Seniors. 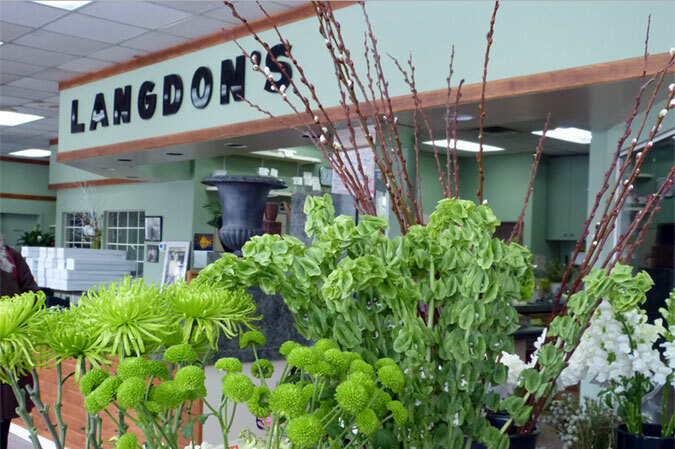 Langdon’s Flowers are being recognized for their friendly and helpful staff, spacious interior and accessible parking & entrances. 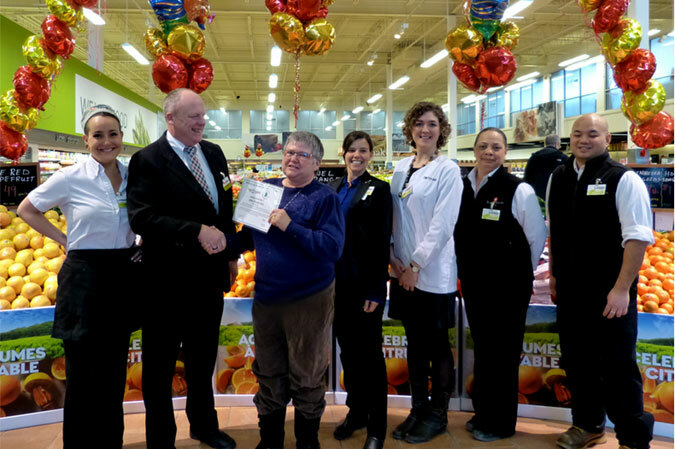 Loblaws Gloucester Centre is being recognized for its shuttle bus service for seniors and accessible handicapped carts. 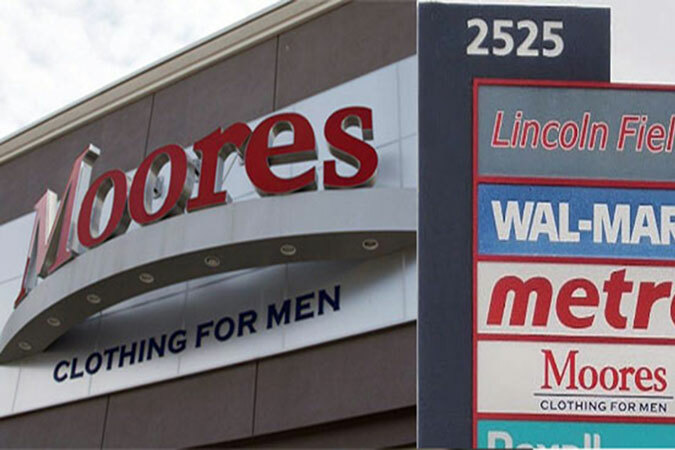 Moore’s Clothing for Men is being recognized for their excellent customer service to older clients and for their discount program. 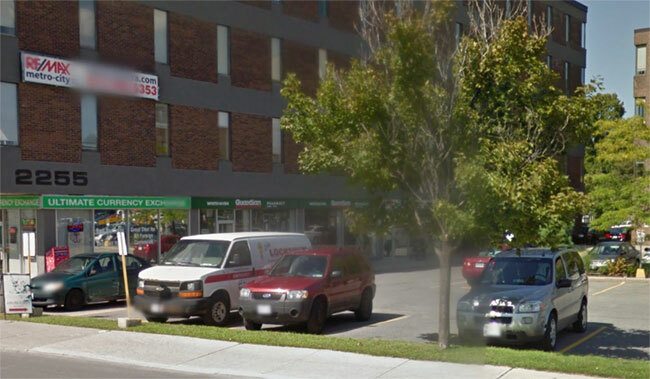 Congratulations to Dave Massine, new owner of the Independent Grocer on Bank Street. 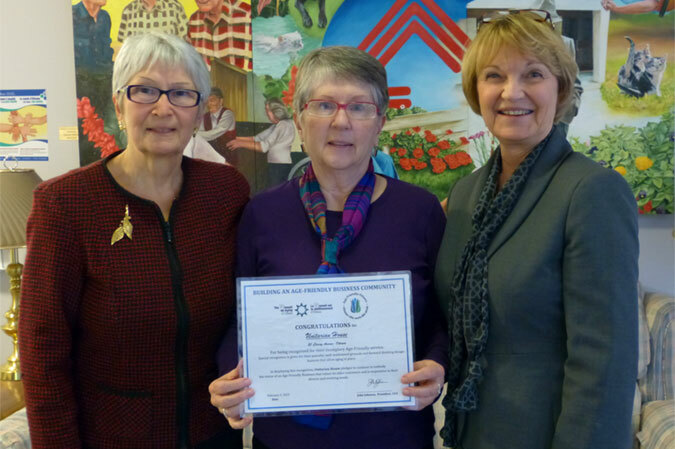 Massine's YIG was nominated by senior Carol Kerfoot to be recognized as an age-friendly business by Age-Friendly Ottawa for its Good Companions Seniors Grocery Bus Program offered to seniors on Tuesdays. Seniors are picked up at various residences, bused to the store, helped with their purchases, treated to coffee and cookies, then taken home with their groceries. It's a social outing on top of a great service, made possible through the team work of Good Companions volunteers and YIG Front End Manager Marcel Pellerin and staff. Ross's Your Independent Grocer was recommended by Mrs. Kira Obrazcova for their very friendly and helpful staff, the good variety of products, their shorter aisles and sufficient seating. 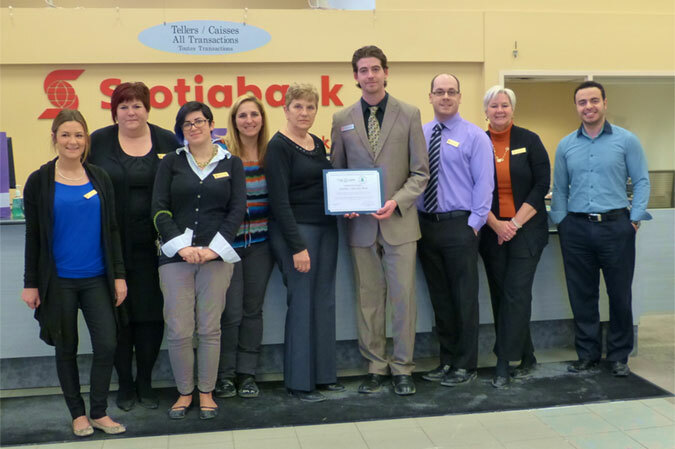 Scotia Bank has friendly staff ready to help seniors with all of their banking needs. Shoppers Drug Mart is being recognized for its friendly, helpful staff members who make a point of getting to know customers by name. Unitarian House is being recognized for its peaceful, well-maintained grounds and forward thinking design features that allow aging in place. 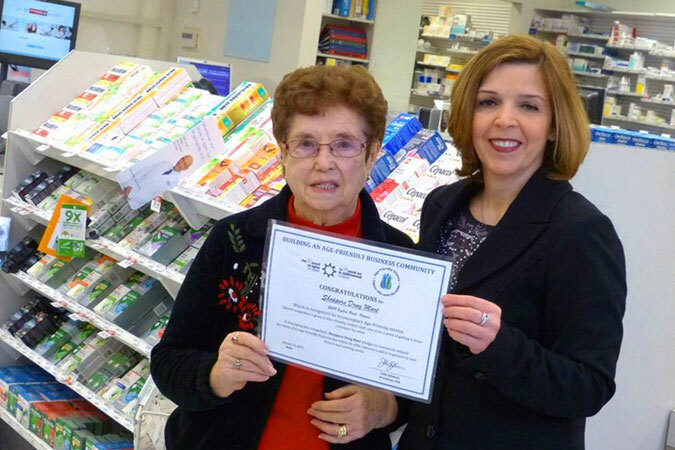 The Wadland Pharmacy is being recognized for providing outstanding services to seniors, including guidance and information on the use of medication. 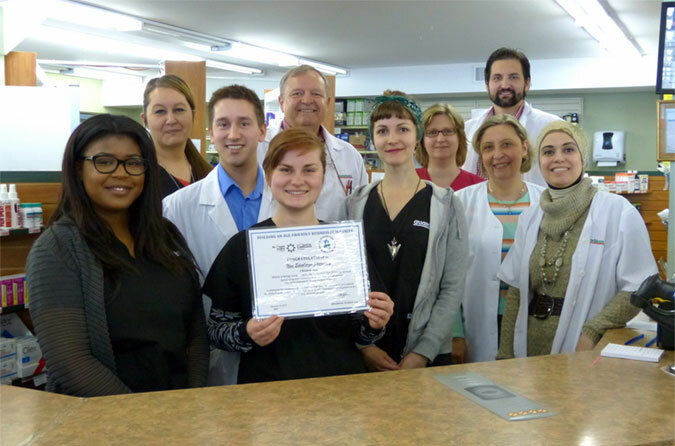 The White Haven Pharmacy is being recognized for providing outstanding services to seniors, including exceptional guidance and information on the use of medication. 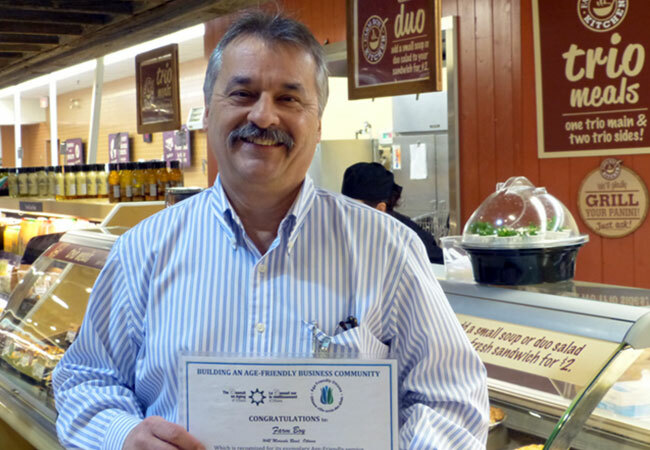 Congratulations to Tom Lamb and his staff at the 457 Hazeldean Road Farm Boy, the latest business to be recognized as age-friendly by Age-Friendly Ottawa. Natalie McMinn, shown here with Manager Tom Lamb, relies on crutches to get around. She nominated this Farm Boy for recognition because appreciates the helpfulness and attentiveness of the store staff, the accessible entrance,wide, uncluttered aisles and availability of handicapped parking spots. 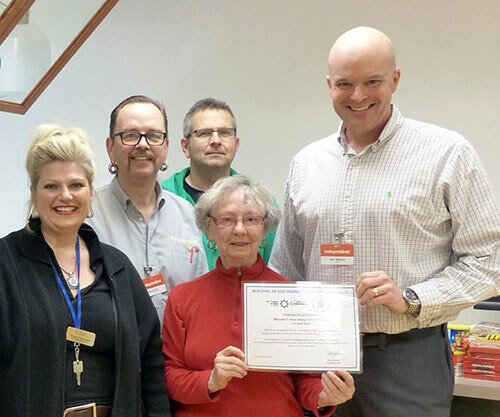 Congratulations to the staff at the Farm Boy at 585 Montreal Road, being recognized today as an age-friendly business. 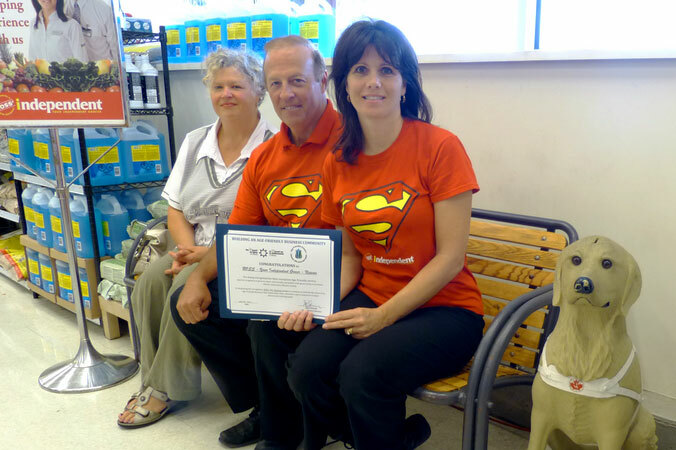 Carol Burrows,shown here with store manager Guy Vachon, nominated the store for AFO recognition because of the friendly attentive service she receives from staff who know her by name, as well as the healthy food choices available in individual portions. Capital Aging: Grow your business the age-friendly way! Web Design by Contenta Inc.